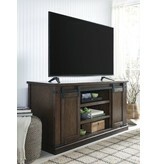 Item Description: Add a touch of country style to your living area with the Budmore 60" TV stand. It’s visually appealing with the flexibility you need. 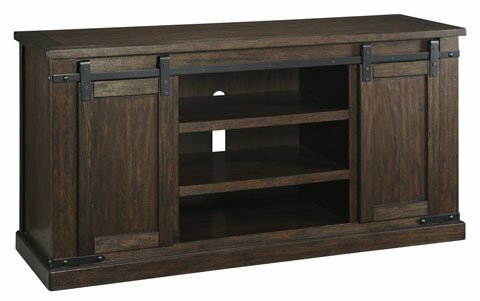 Adjustable end shelves offer lots of storage, while the two stationary middle shelves are roomy for TV components. Two sliding barn doors can easily be positioned as you desire. 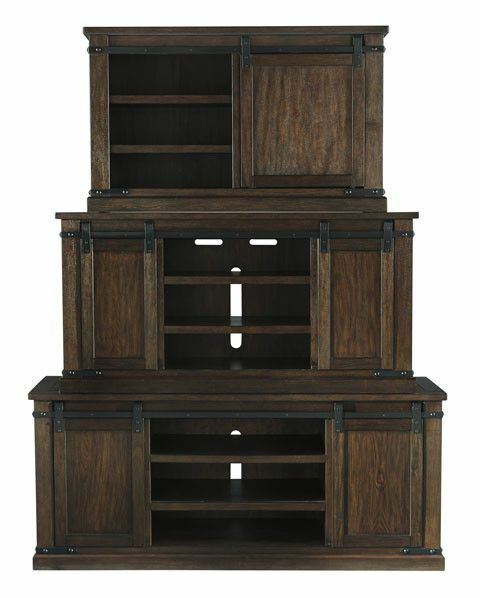 For an uncluttered look, slide the doors over the two ends and use those areas for hidden storage—what a deal. 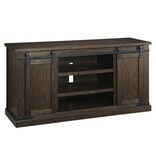 Series Features: Made with Mango veneers and hardwood solids with wire brushing in a warm brown finish. 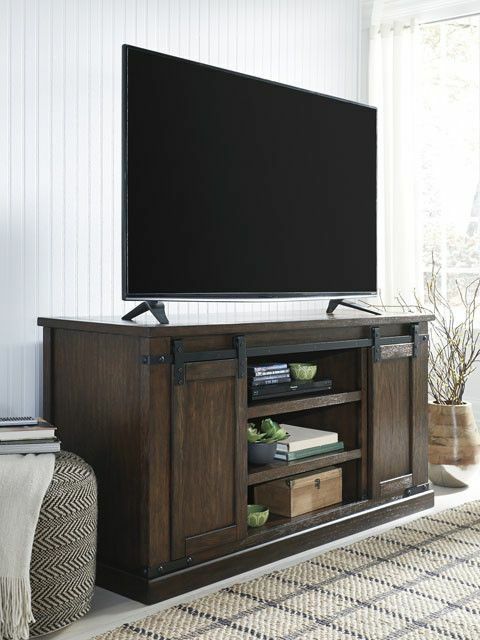 Each TV stand has sliding metal barn door wheel and track hardware in industrial black finish that easily move framed door panel(s) to display or hide and give quick access to what is stored there. 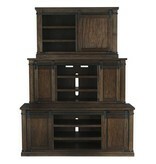 Has adjustable shelves.